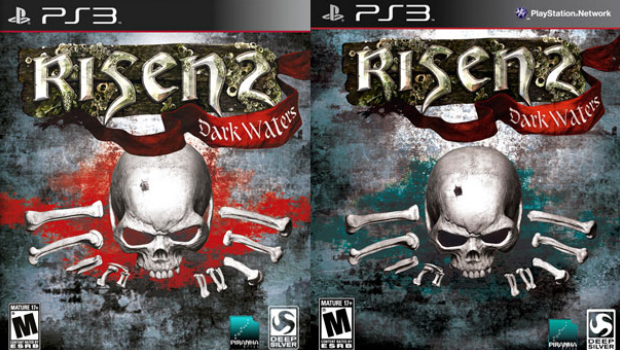 The ESRB has made Deep Silver remove a red stain from Risen 2: Dark Waters' box art. This stain will go from red to turquoise, owing to the North American rating board's stance on cover imagery that could represent blood. Deep Silver's last game, Dead Island, had a hanging body removed from its cover in the US. In all other territories, Risen 2 will have the "blood" on the box. Here's what I find especially silly about censoring a violent game's cover -- surely it's a good thing to give a taste of the content on the cover. Idiot parents would have an easier time telling the kid-friendly games from the brutal ones if there was blood and bodies all over the boxes. 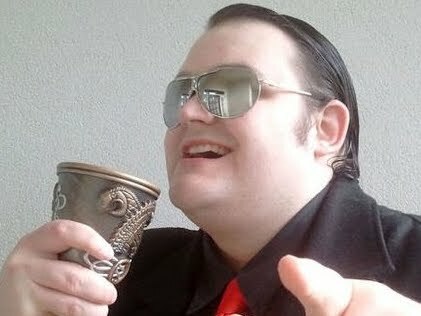 Oh wait, I forgot. If a three-year-old glances at a bit of red on a drawing, it will instantly stab its mother in the womb and activate the suicide bomb strapped to its chest. Silly me.